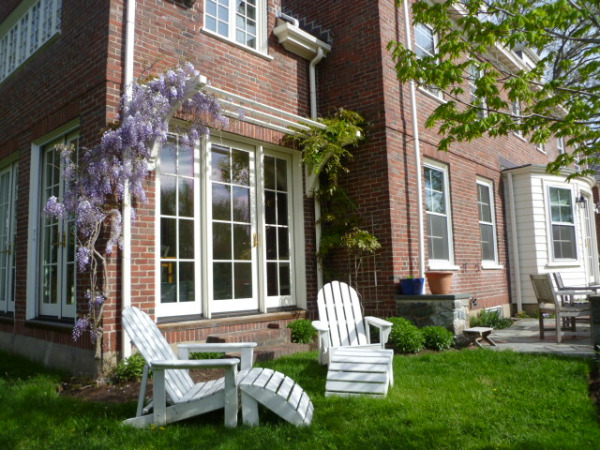 This Wisteria floribunda was planted about three years before I met this Newton, MA client. The vine wasn't flowering well and was completely covering this small pergola structure. It had wound itself around the gutter and up into the window frame. After one year of aggressive pruning and training we have an amazing bloom this May.